News and information for our residential and business customers in Collinston, LA and surrounding areas. Get The Latest NortheastTel News! Sign up for our email list that shares special offers, announcements and other information. Our newest product for businesses is a Hosted PBX service that can be offered to any company with high speed internet access. 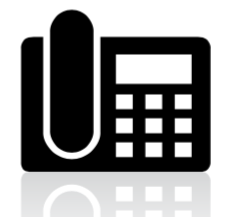 This VoIP (voice over IP) service utilizes a company’s internet connection to supply their telephone service from our central office located in Collinston, to any location in the state as long as they can meet the minimum high speed internet requirements. With Hosted PBX service, a business has the option of having internal extensions, multiple lines with a variety of line features, and the choice of a basic or premium telephone set. We also offer other business grade options such as having music on hold, an auto-attendant, toll free service, and conference bridging. Whether you are a small company who wants extensions in one office or to an office next door, or an expansive business with employees who work from various locations, our Hosted PBX service can offer a solution that would keep your employees connected to your customers and each other. Contact our business office today to find out more information and to schedule a site evaluation to see the value of service we can offer your business. Article from Kings County Office of Emergency Management in Hanford, CA. Have you noticed how many people are giving up their landline phones for cell phones? If you do still have a landline, do you have an old stand by “corded phone” or is it strictly a cordless? With technology improving at warp speed, many are trying to cut back and save money wherever they can. Many are depending on their cell phones as their only source of communication, dumping their landlines. That concerns me and I will tell you why….cellular networks can be useless during times of emergency! Have you ever thought in an emergency just how reliable your cell towers will be? Just this past fall season, on two occasions, not only did I lose power for a time, I also lost cell phone service for over a week each time; apparently it takes a week per 1 day of power outage to get your cell service back. While the towers were in repair I was cut off from the cell phone world; no calls, not texts, unable to communicate with my two college kids who rely solely on their cell phones for communications! Wow, what a wake up call! Of course, I still have my landline-cordless phone as well as the good ole fashion corded phone! When you lose power, you can always plug in your old stand by – setting aside your cordless phone- cordless phones will not work when the power goes out. When dealing with emergency preparedness, I had learned early on that it is never wise to get rid of your landline phone. When all else fails, your trusty landline phone will be there for you, ready to dial out and receive calls. Emergencies (911): You will receive a quicker response if you have to call 911. You will not only be easily located, but also more specifically located than if you called 911 from your cell phone. What if you were choking, having a stroke or heart attack and could not speak to give directions over the phone? Simply calling 911 from your landline will get you the most accurate and quickest response. Power Outages: Landline phones have proven to be the most reliable in a power outage. Make sure you have an old-fashioned “corded” phone to plug in. I have a Trimline corded phone with big square push buttons as my good ‘ole standby. I keep it in the box it came in the kitchen next to the landline outlet. During and After Natural Disasters: Landlines have also been proven more reliable during and after natural disasters than mobile devices. Security: Hackers cannot gain access to conversations on a land line. Better Quality: With all the advances in phone technology, the landline still has better sound quality than a cell. Some cells, like mine, have this awful delay when talking so that by the time the person on the other hears my voice, it sounds as if I am interrupting their conversation. Alarm Systems: Most security alarm systems require that you have a home phone to connect to. No charging batteries: You do not have to charge any batteries with a landline phone, and if your power is out for a while, you will not be able to charge your portable cordless phones either. No dropped calls: Have you ever been in the middle of telling a great story and your call was dropped without you even hearing it? Now, you wonder, how much of the story did the person on the other end actually hear? More importantly, how much do you have to repeat? Private conversations: Cell phone conversations are sent through waves and it is more possible for someone to hear your private conversations, as well as with a cordless phone. However, your trusty landline conversations are sent through cable making it harder to break through a call. Faxing capabilities: If you are used to faxing from your home, you must have a landline connection. Babysitter does not have a cell phone: If your babysitter does not have a cell phone, how is she going to call you or 911 if there is an emergency? Better yet, how are you going to call to check in on your precious one? Collect calls can only be received to a landline phone: You may think you may never need to receive a collect call, but what if your kids call from school or adult children from out of town, or maybe a family member is traveling and has had an emergency? You just never know. Peace of Mind: Cell service, no matter how advanced, is not as reliable as a landline. Always there when you need it: Have you ever misplaced your cell phone? In an emergency, time is of the essence. A landline phone is always in the same place. Green & healthy: Landlines have no toxic batteries and are especially safe for children and expecting mothers. In an emergency, failure is not an option! The next time you are working on your emergency plan, remember to include communications as part of that plan; making sure you are phone covered. Establish a “home base” for making emergency calls with a centrally located, easily accessible landline phone. Maybe it is your parents’ home; maybe it is your home. Designate a safe location within the home during an emergency and establish a safe way out of the residence. Make an inventory of communication items including all landline phones, wireless phones, batteries, and chargers. Make a list of emergency contact numbers. The more choices you have to reach 9-1-1 in an emergency, the better, and a corded landline phone should be one of those options! NortheastTel RECOGNIZED BY NTCA AS GIGABIT CERTIFIED! Boston, Mass. (September 22, 2015)—NTCA–The Rural Broadband Association, the premier association representing nearly 900 independent, community-based telecommunications companies that are leading innovation in rural and small-town America, today announced at its annual Fall Conference that WK&T has been named a Certified Gig-Capable Provider in the first month of a national program highlighting independent telecommunications providers delivering gigabit broadband speeds. As a Certified Gig-Capable Provider, Northeast Tel joined a national campaign spearheaded by NTCA to build awareness and industry recognition of community-based telecom providers that have built communications networks capable of delivering Internet speeds of up to 1 gigabit per second, which is 100 times faster than those currently available in many U.S. households. In addition to national recognition, certified providers also received tools to promote themselves as a Gig-Capable Provider in the communities they serve and will be recognized in NTCA media, on the NTCA website, and during association conferences and events. To achieve certification, telecommunications companies must show that gigabit technology is currently commercially available within 95% of one or more exchanges within their serving territory and that such service can be provided without new trenching or stringing new aerial facilities. This statement must be confirmed by a letter from an engineering firm or other independent source involved in the company’s network planning, deployment or operation. WK&T has a gigabit connection available in 100% of their service territory. Survey shows that providing Wi-Fi can boost interest and traffic to your business. Headquartered in Collinston, NortheastTel provides advanced broadband, voice, and web hosting services to over 1,000 residential and business subscribers in Northeast Louisiana. We are proud to be your local telecommunications provider and are committed to providing you with the most technological advanced communication services available.